For many years the Macy’s Day Parade had been our family tradition, where we all gather to watch the parades and enjoy the experience. The last few years though, we have seen a change. Who was the genius who decided to start the TV coverage with song routines from Broadway Shows? This might be of interest to New Yorkers, but to anyone else it total BS. To the children it’s like going on long trip by car and one of them has to pee, they start asking “When are we going to stop? I have to go to the bathroom” over and over until we stop. When the Broadway routines start the children start saying “When is this going to be over? We want to tee the parade!”. Several adults chimed in too this year. We all agreed last year if this is part of the TV viewing then this will be the end of a family tradition and we can just as easy take a long car trip. After the Broadway Play commercials and in watching the parade we noticed that every float had some obscure singer on the float promoting their latest song release and lip syncing badly as the song blasted out. Some of our children even noticed that the words did not match the mouth and we all laughed. True there were two notables singing. Early in the parade Kelly Clarkson was on a float and Diana Ross later on. All these years we though Diana was six feet under. So at least we were informed she was alive and “well”. Diana at first did not have a microphone in her hand and wasn’t singing even though her song was blasting out. Then she started lip syncing but her hair was being flipped over her face so we could only see her lips moving. Of course not only did every singer get in a commercial, but the sponsor of every float got a full minute commercial about their product line. Then of course the TV station (NBC) had to do their official commercials along with everything else. We remembered a time when the parade was commercial free and the entire event was aimed at families, but that must have been in a place far, far, away and in s different dimension. Moving on there were commercial free bands from all over the country. These were the only participants that were commercial free. We always look for the balloons of various characters that of course had promotions going on, but we mentally tuned them out and enjoyed seeing the traditional characters and which ones were new. Finally we saw Santa off in the distance and we knew the torture would soon be over. When the announcer, said “And here is Santa arriving”, click when the remote and we were done. By the way, we noticed that the announcers these days we usually people from early morning TV shows. There was a time when “real stars” from TV did the TV announcing but now, all they do is sit there and read commercial scripts. So now our tradition has been whittled down to one parade. That is the New Years Day Rose Parade that does not have Broadway Play promotions as of last year, and basically commercial free. It’s okay with us that the float sponsors get talked about, because there is usually a story about each one. The spectators are another story because the “true blue” ones usually camp overnight on the parade route or near as they can get and they usually get interviewed by roving reporters. 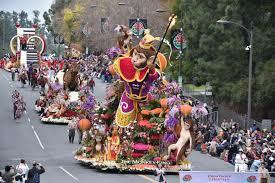 Everyone is welcome at the Rose Parade. We wish all of our followers had a happy holiday and enjoyed Black Friday Shopping. We will wait with excitement to see what you will be sending us later in the season (Joke). We hope you make a point to donate some of that cash that you saved to various charity organizations. Ours this year is to the forest fire victims that lost everything. We have nothing else to report at this time except to thank everyone who voted in the USA mid-term election and to those outside of the USA thank you for taking the time to come to the USA and vote (Joke for Donnie). Have a safe weekend and hope to see you soon. 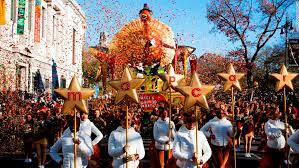 By the way, we once attended the Pasadena Do Dah Parade and that at that time was held on Thanksgiving. We rented a Winnebago and parked right on the parade route. We had a blast.